Welcome to the new and improved Jackpotjoy Slots HD app, featuring the same games you love, but with an even better experience! Enjoy the bright lights, and thrills of Vegas through our 150 different slot machines. If you love slots, you’ll love Jackpotjoy Slots HD! 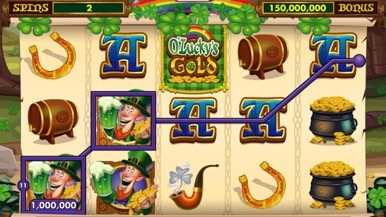 Jackpotjoy Slots HD is the only free Las Vegas-style slot machine app you need if you want to spin to win on your iPhone or iPad. One of the top casino and slot machine game apps in the App Store, Jackpotjoy Slots HD brings you fast casino action that you can play nearly anywhere. Jackpotjoy Slots HD gives you daily free coins and with over 150 original slots the fun won’t stop. Without spending any money at all, you can play Jackpotjoy Slots HD’s classic and signature slot machines like Classic Wilds and Winner Wilds. •Real Las Vegas slot machine action without having to go to Vegas. •Signature games, including The Magic of Oz, Winstones and Agatha Christie’s Mystery Wilds. •Daily Free coins so you can always spin to win big jackpots. •Earn exclusive badges and share with your friends. 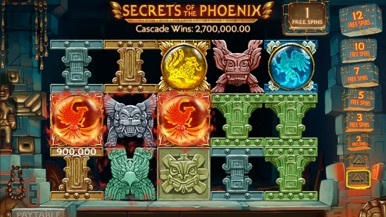 Jackpotjoy Slots HD lets you play Cascade slots, All Pays slots and multi-line games up to 100 lines! You get free spins, Stacked Symbol games, Expanding Wilds games, and many other innovative and creative slot machine features. And it doesn’t stop there. Jackpotjoy Slots HD creators are dedicated to giving you fun and quirky slots to play. Have a spin on Clayliens – the first ever handmade slot game made entirely of modelling clay, or Wild City – our popular comic book themed slot. Finally, keep your eyes peeled for the next special occasion where Jackpotjoy Slots HD host Events. A special chance for you to play exclusive bonus rounds. 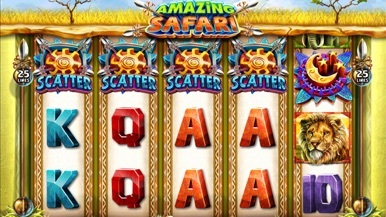 Jackpotjoy Slots HD is a top game in the App Store because it offers full casino action in an absolutely free app. 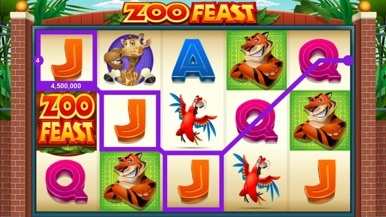 Download Jackpotjoy Slots HD today and get started on the road to your virtual jackpot. Jackpotjoy Slots HD is a slot simulator for entertainment use only. It is free to play, and you can choose to purchase additional coins with in-app transactions. Jackpotjoy Slots HD is intended for an adult audience. Jackpotjoy Slots HD does not offer real money gambling or an opportunity to win real money or prizes. Order food online in Lincoln! It's so easy to use, fast and convenient. Try our new, online app which contains our entire takeaway menu. The Mr Chippy is located in Lincoln.You can now order online, all your favourite dishes and many more delicious options, and have them delivered straight to your door in no time at all.